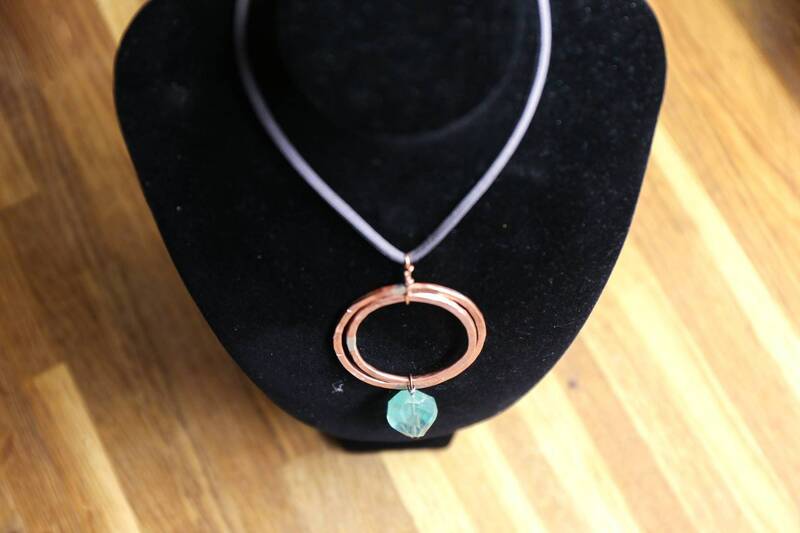 Hammered copper circles with natural stone bead. Adjustable necklace. On faux suede. 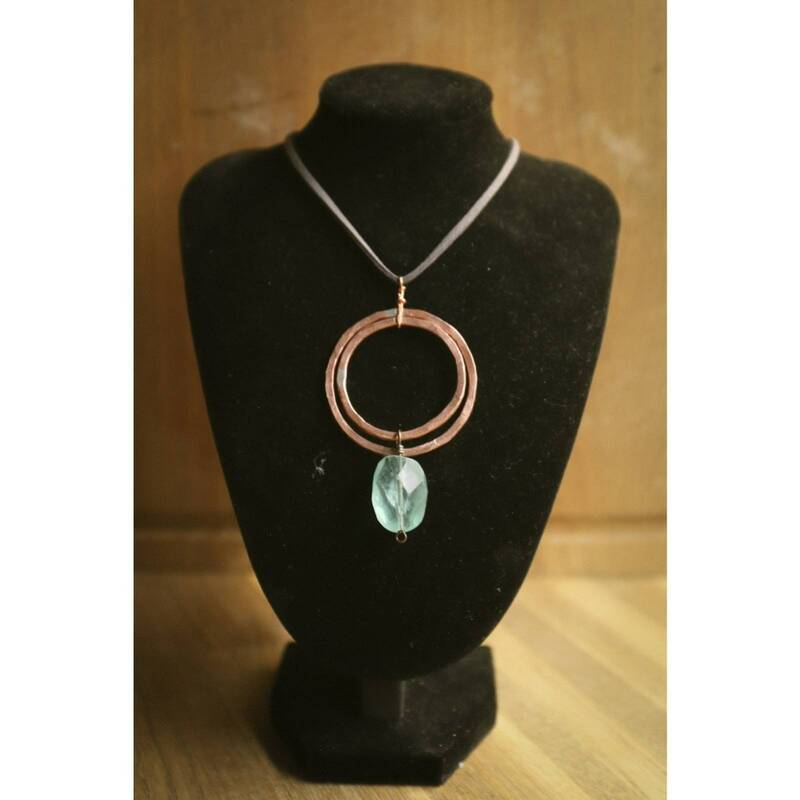 Two hand-fashioned circles of hammered copper, threaded with a beautiful pale turquoise natural stone.